Every day at the University of Rhode Island interesting research is conducted. However, one could argue nothing is as interesting and exciting as the explosives lab in the chemistry department. 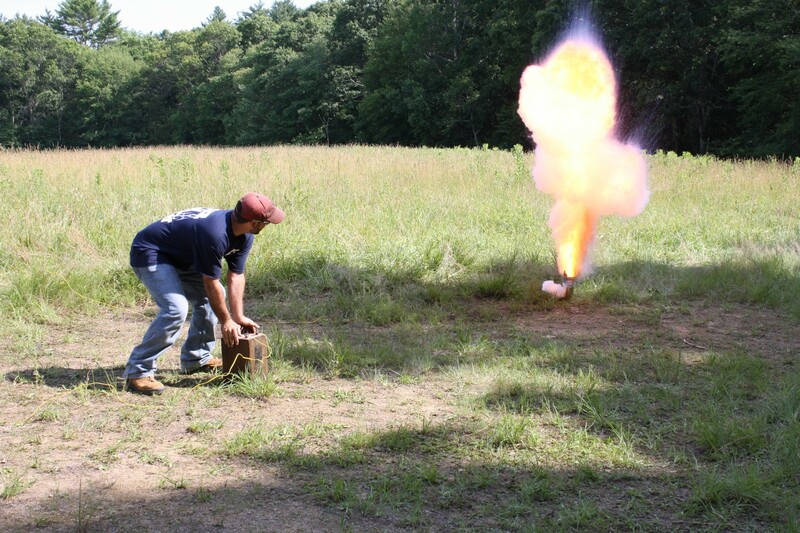 The explosives lab is run by URI professors Jimmie Oxley and James Smith. The lab is the premiere lab that deals with a chemical called triacetone triperoxide (TATP). TATP has been in recent news lately as all eight of the attackers in Paris wore a vest fixed with amounts of TATP. They used this chemical to blow themselves up during the attacks. Other projects of the lab deals with homemade explosives, homeland security, making explosives safer, and working with the TSA to train bomb appraisal officers on the synthesis and detection of explosives. The explosives lab dominates the second floor of Pastore Hall utilizing various technologies. One of which is a 3D printer that is able to print metal objects. Another useful device is their resonant acoustic mixer, which is used to mix explosives. The mixer vibrates at a very fast rate, so fast you cannot see it with your eyes. This device is able to mix explosives without any heat, which is useful to mix explosives without an explosion. The coolest lab is their wet chemistry lab. Swanson described it as, “If this was an episode of MTV cribs, this is would be where you walked in and said, ‘this is where the magic happens.’” In the wet chemistry lab they are able to make explosives, synthesize new materials and purify existing materials. As you would expect, the lab is equipped with high tech blast shields for the chemists. Â However, the explosives lab does not have to be all high tech and complex. Swanson said sometimes simple devices are needed in the lab. The URI explosives lab could be one of the most exciting and applicable pieces of research URI has to offer. The lab deals with materials that range from being able to be grinded in a coffee grinder to ones so sensitive they can be detonated with a feather, like in the chemical NI3.